Inspired by the character Zenyatta from the video game Overwatch. 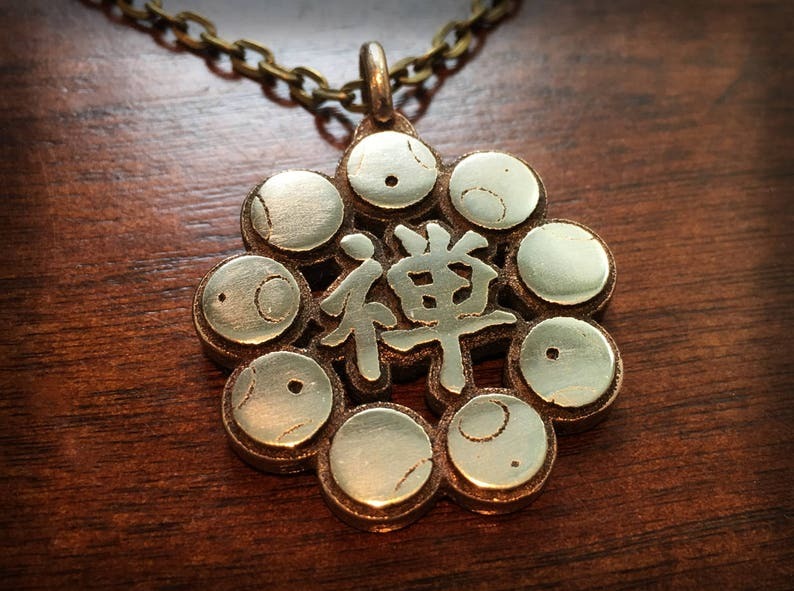 on the pendant as I can't read it. I assume it's something like "harmony" or "tranquility." Only complaint I have is that the chain broke shortly after I got it.